Quarant'anni son passati dal suo primo apparire, ma ancora non ha smesso di sorprendere e divertire: è l'album di esordio degli Hatfield and the North oggi a festeggiare. E noi con lui! Should be a laugh certainly! 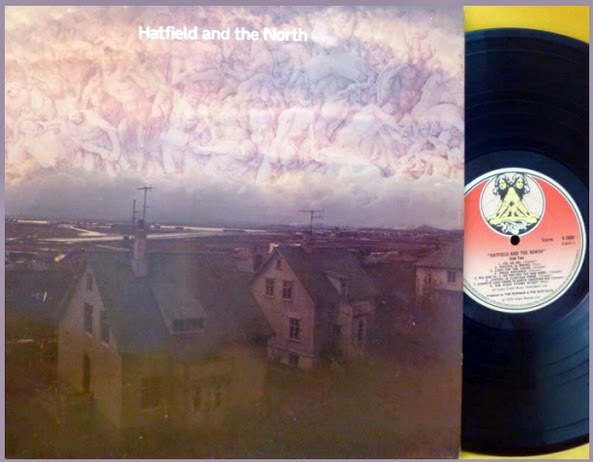 Formed in 1972 and named after a motorway road sign, Hatfield & The North were one of the most original and musically adventurous English bands of the 1970s. The group wrote and played fearlessly creative music, became a legend with music fans in Europe, America and Japan, but broke up in 1975 just as its reputation began to build. Hatfield's music was a unique blend of its four members' ideas and compositions, comprising the dreamy lyrical songs of Richard Sinclair, Phil Miller's intricate jazz-tinged melodies, Dave Stewart's complex instrumentals and the free-flowing compositions of Pip Pyle, who also contributed lyrics. During its brief life span, the group recorded two highly acclaimed albums (Hatfield & The North and The Rotters' Club), played numerous live gigs and recorded four BBC radio shows.